I have a fascinating blog for you today from fellow author, Neil Griffiths. 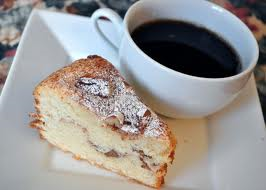 Why not grab a cuppa, pop your feet up for a few minutes, and have a read. 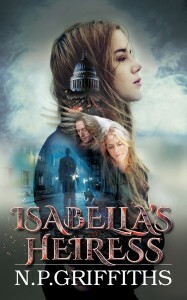 Neil’s book, Isabella’s Heiress, is out now. At 2 King Edward Street in the City of London, just opposite Saint Paul’s Cathedral, Merrill Lynch Bank of America have their UK headquarters. This is a matter of public record. You can see it on Google Maps, travel past it in a cab or just take a gentle stroll through the gardens of Christchurch Greyfriars next door. What is less well known is that below the Merrill Lynch Financial Centre (or the MLFC as it is more commonly known) there is a walkway that allows you to take in the Roman ruins that were discovered there whilst the building was being constructed in the late nineties and early two thousands. It is neatly floodlit with soft lighting and has a glass roof which doubles as part of the reception floor. From above, there is a glass and steel barrier which allows guests and employees to look down and take in the ancient works. The ruins are a small segment of the London Wall and are part of a much larger structure which ran for two miles in a semi-circle from Holborn, in the west, to Tower Hill, in the east. They are a symbol of a City of London that often gets forgotten in a world where, to many people, the City is more representative of the financial industry and all the recent history that goes with that. The truth here, though, is that there is a much older and more colourful history, under the pavements and around the corner, than is first realised. Not far from the MLFC is Gresham Street, where you can find the Guildhall. A Guildhall has stood at this location for several hundred years. Again, what is less well known is that there is a ring of black bricks in the courtyard that has to be crossed by anybody that wishes to enter the Guildhall proper. These represent the perimeter of the Roman amphitheatre that was discovered when the Guildhall art gallery was being redeveloped in 1985 and is now directly below the main courtyard. This amphitheatre dates from the first century AD and was the Wembley Stadium of its day, holding up to seven thousand spectators who would watch the gladiators and animals battle it out. Should anybody wish to see it there is a visitors centre directly below the Guildhall Art Gallery which allows access to the remains of the amphitheatre during the working day and at the weekend. But it’s not just the subterranean parts of London that have survived the test of time. At 111 Cannon Street, almost opposite the station of the same name, is a small grille in a wall. Behind that grille is kept the London Stone which is commonly thought to have been the point from which the distances of all the journeys to and from London were measured. There are no solid records as to when it was first placed in the centre of Cannon Street but it is thought that this could be anytime from the Roman era to 1100 AD. It was discovering things like this that inspired my thinking when it came to writing my debut novel, Isabella’s Heiress. The thought that there is a secret world beneath and around us that is, if not completely invisible then hidden in plain site, gave rise to any number of ‘what if’s’ and ultimately brought about the idea of a woman who finds herself in a dark, hidden version of London after she has died in an accident. The history of the City of London allowed me to imagine a world where a parallel city could exist next to the one we live in now and then play with the story of a metropolis that has been around for two millennia. But the truth, I think, is that whatever we choose to create as writers and consume as readers, sometimes there is nothing more strange and outlandish than reality. So I’ll leave you with this little fact. If you ever visit Greenwich Park, in South London, take a look around as you walk down Crooms Hill. You may notice that the ground is very uneven. This isn’t because the park is on a hill, although that is very much the case, it’s because the park contains a large Saxon barrow cemetery from around the 6th century, that consists of 50 round barrows. A large number of which, if you look hard, can be identified by the fact that they are surround by tufts of grass that mark out their perimeter. So if you are out and about and have a few minutes to spare, take a closer look at your surroundings and remember, there is so much out there in our cities and towns that we just take for granted but just below the surface there is a long and colourful history that is just waiting to be uncovered. So, a little about me (this is the bit I hate.) I work in IT for the day job but write in my spare time. I’m a voracious reader and have been writing since I was at school in one form or another but only decided to get serious about it ten years ago. The end result is Isabella’s Heiress, a novel about a woman who finds herself out of time and in a whole new world of trouble. I’m now starting to research the second book in the series and am hoping to start writing it early next year. Many thanks for such a great blog. I adore discovering hidden gems of history like that. Richmond has it’s own village green. It was the jousting field that lay in front of Richmond Castle of which the gatehouse (where Elizabeth I died) still stands. Hi Tom, I’ve driven past that gatehouse a couple of times, when I’ve driven alongside the green, but I’ve never realised its significance before now. Next time I’ll have to park up and take a closer look.